In the summer of 1977 I was sent to live with the Birth Conduit a.k.a. my biological “mother” (and I use the quotes generously) by my maternal grandmother who was getting sicker by the year. I was just too much for her to bear. I arrived at the Birth Conduit’s (B.C.) ugly near empty apartment in Maryland and sat there on the couch staring at the walls. Literally. I had a few things I had brought with me from my grandparents’ home. Just a few things. The B.C. made me throw out most of my precious belongings out of sheer cruelty. I wasn’t allowed to play outside. There was no TV watching allowed. No arts and crafts. Definitely no conversation. No affection. No food variety. Same ole crap every day. It was quite a hideous existence, suddenly. There are so many things to write about such an evil person but bandwidth slash time slash not-the-place-here prohibits me from doing so. Not to mention this is a blog about my predominant right sideness, not my monstrous unstable childhood. But the point is, I sat in that solemn apartment in totally unfamiliar surroundings with awful punishments like being forced to stand in a corner of the living room–nose to the crevice where two walls met–for hours with not much but a couple of Jackson 5 records. I also had Judy Blume’s book Blubber and Louise Fitzhugh’s Harriet the Spy but those Jackson 5 records were my absolute lifeline. 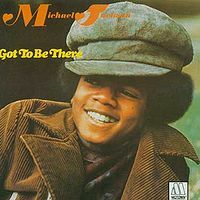 Though he was several years older than I, Michael especially was a kid (though on vinyl) that I could somehow relate to. I had always been obsessed with M.J. and his brothers, but particularly him. His perfectly high pitched voice and his flawless dancing and his gargantuan soulfulness carried me through that new hell. It was already a doozy of a summer. Elvis died. Freddie “Chico & the Man” Prinze died. My childhood had its first real death. Child abuse began– instead of on an occasional visit the B.C. made to my grandparents, now it was on a daily basis. So I listened to those two or three records on a tiny record player over and over and over careful not to scratch the precious vinyl. I probably would’ve jumped out of that top floor apartment window and splattered on the pavement below had it not been for Michael (& his brothers). So even a year later his death feels like a stabbing, a robbery, a twister, a gaping hole-like devastation. Some people will only remember his latter weirdness and peculiarity; I can’t forget my childhood with Michael. I don’t want to forget.